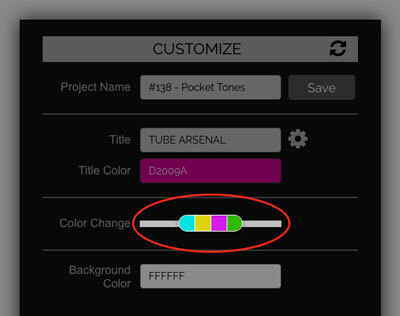 To change a color, look in the right column for the fields filled with color. 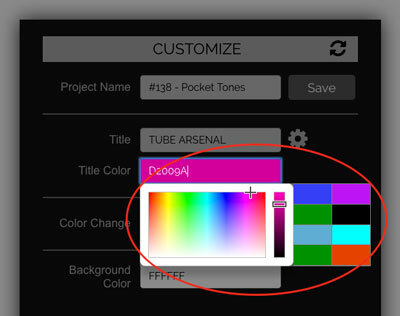 A click on one of these fields will open the color picker. Choose a new hue or tint by dragging the crosshair around the picker. Adjust the saturation and shade by dragging the bar up and down. To see your changes click the preview still button. Many templates have multiple colors to change. There would be too many fields if we put a color picker for each color. Instead we invented the color slider. 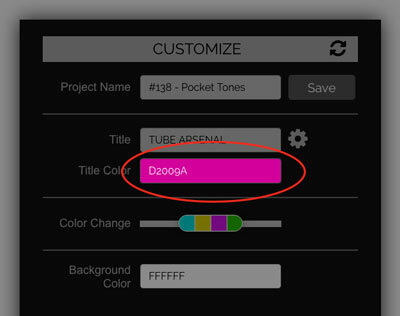 This color slider will change multiple colors at the same time. Drag the slider right or left to see the colors change. Once again click the preview still button to see your changes.